Firefly Handmade Market Is Flying Into Town This Weekend! 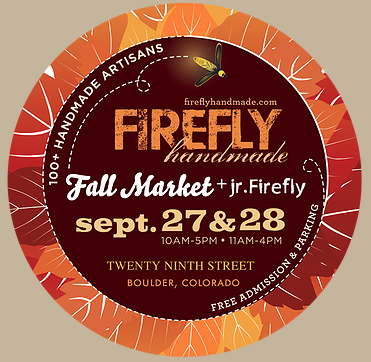 Firefly Handmade Market is back in Boulder this weekend bringing our community amazing artists and artisans. Handmade. Homemade. Beautiful!